On the coast path , north of Pwllcrochan (Pencaer Penninsula). 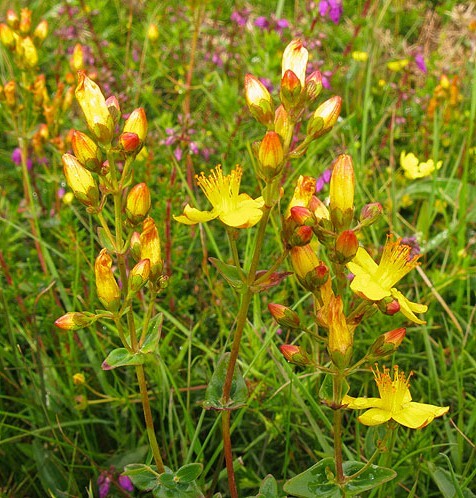 A native perennial , which is a beautifully elegant type of St John's Wort. Flowers are rich yellow tinged red beneath, petals and sepals with black dots on the margins. It is associated with the Knights of St John and the Crusades and was hung around the house to ward off evil.